This essay originally appeared in The Virginia Quarterly. It focuses on Raja Rao’s three major novels (Kanthapura, The Serpent and the Rope, and The Cat and Shakespeare), arguing that they parallel the three stages of Vedic enlightenment—myth, philosophy, and perception—and that these three also progressively empowered the Indian Revolution. More detail and comment at the end of this post. When UNESCO officials asked Raja Rao to write a book on India, he replied that India did not exist. As the central figure in his novel The Serpent and the Rope says, “Anybody can have the geographic—even the political—India; it matters little. . . . India is not a country like France is, or like England; India is an idea, a metaphysic.” Strangely enough, this concept, which ultimately questions India’s material existence, helped shape the Indian Revolution. It lies, too, at the heart of Raja Rao’s fiction, and his devotion to it has helped him create out of an adopted language one of the few truly unique styles in Third World literature. Third World writers often accuse each other of being imitative, tame. They bicker about cultural imperialism, and not without reason. Much Third World literature is written not in native languages, but in Western languages and after Western literary forms; and most Third World writers, even the brilliant ones, have indeed developed literary sensibilities and approaches to language and form that are heavily Westernized. But is Spanish or French or English supple enough to reproduce the ambience of, say, Igbo or Malayalam speech? Do Western form and native sensibility clash? If, for example, a writer comes from a Third World culture which views man as having little personal history and standing essentially outside time, will there not be a problem in conveying that view if he uses the Western novel form, which, at least traditionally, assumes and focuses on personal identity developing in time? Surely, synthesis is the problem, for it is too simplistic to assume, as many militant Third World writers seem to do, that colonialism is really a lesser historical phenomenon whose cultural influences can someday be completely neutralized. Still, it is true that too many writers, too much seduced by Western form and language, have unconsciously given up, or made quite secondary, the sensitive rendering of their own culture’s vision. Of the few writers who have managed to synthesize forms and idioms out of the clash of the native and Western, one certainly thinks of Raja Rao, whom many consider the most brilliant Indian ever to write fiction in English. 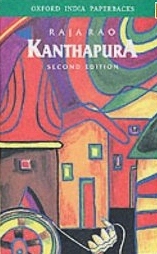 Forty years ago, in a preface to his first book Kanthapura, he wrote one of the first manifestos on Third World literary style. “. . . English is not really an alien language to us. It is the language of our intellectual make-up—like Sanskrit or Persian was before—but not of our emotional make-up. . . . We cannot write like the English. We should not. We cannot write only as Indians. We have grown to look at the large world as a part of us. Our method of expression therefore has to be a dialect which will someday prove to be as distinctive and colorful as the Irish or the American. Time alone will justify it. This 1937 preface remains to my mind the most eloquent and enticing guide to style a Third World writer can have, and Raja Rao’s growing understanding of his own statement has manifested itself in two other celebrated works, The Serpent and the Rope (1960) and The Cat and Shakespeare (1967). Together with Kanthapura, they have become prime models in world literature, showing how profoundly one language can be made to serve the very soul of another culture. Kanthapura is set in the early 30′s, around the time Gandhi made his salt marches. Moorthy, a young Brahmin transformed by Gandhi’s spirit into a revolutionary, comes back from the city to Kanthapura and attempts to cut across traditional boundaries of caste in order to create a unified front against the British. Even for himself, however, this assault on tradition is shocking. When he first enters a Pariah house the room seems to shake, and the gods and ancestors seem to cry out. Afterwards, feeling faint, he washes with Ganges water, and Achakka, the book’s narrator, says: “Afterall a Brahmin is a Brahmin, sister!” How much more, then, do others resist Moorthy’s reforms. Until he himself has a spiritual awakening (an incident we shall return to shortly), his efforts remain relatively ineffectual. When Kanthapura finally is unified, it inspires more rebellion. The British retaliate, wasting the village and dispersing its inhabitants, but the impact has been made. Surprisingly, Raja Rao was not arrested for sedition, for he clearly meant tiny Kanthapura to be an example of the type of courage and unity that could expel the British. Outwardly, the book’s form is quite Western. It is told, first of all, by a narrator in the first person with a limited point of view. Most important, it has, in the tradition of Western historical narrative, a pointed, linear plot which Raja Rao has shaped with tight logic on a balanced curve which reaches its apex in chapter ten, the book’s exact center. Chapter one is balanced with chapter 19, chapter two with 18, and so on. In chapter seven, for example, Moorthy goes on a fast, attempting to become radiant with ahimsa (love; literally, noncruelty). He asks only for some salt to put in his water. In chapter 13 meditation finally bears fruit in action, and Moorthy’s request for salt is echoed as news reaches the village that Gandhi has embarked on his salt march. Yet tight, logical structure is neither the first nor last impression Kanthapura makes. Rather the novel sprawls and digresses, and features, besides, 60 pages of notes on Indian culture and history arranged by chapter at the back of the book. At times these notes seem as interesting as the novel itself; so when the narrator, Achakka, mentions Ravanna, for example, one turns to the notes; and since Ravanna, or the Cauvery River, or Shakuntala is likely to be mentioned in a digression, the notes extend that digression, sometimes forcing slow movement through the text. Kanthapura is modeled not so much after the novel as the shthala-purana, or legendary history, which—oral or written— is chatty, digressive, amply laced with allusions, hymns, stories, and sayings. Even though Kanthapura has a few interesting characters and a tight, logical framework, Achakka’s torrential, digressive voice overwhelms—and was meant to overwhelm—all and work against the sense of controlled, historical progress or sequence. For the real protagonist of Kanthapura has neither personal character nor history: it is India— the idea, the metaphysic—which we may better understand if we return now to Moorthy’s spiritual awakening and the political context in which it occurs. Raja Rao fondly tells the story of how Nehru, on a speaking tour, arrives in a village so tired he cannot speak. Still the villagers respond with hearty rallying cries of the Revolution, “Mahatma Gandhi ki jai! Jai hind!” (Victory to the Mahatma! To India!). Nehru asks, “When you say these things, what do you mean?” “We do not know,” they say. “When you say “Jai hind, “” says Nehru, “you mean “Be true to yourself.”" Here a “modern,” Nehru, goes to the “traditional” and offers a “sagely” interpretation. “India is the Indian people,” says Rao, “and those people are ultimately not themselves but the Absolute.” To varying degrees each major leader of the Indian Revolution tried to blend the call for political unity with this sagely spirit of radical oneness found in the scriptures and rooted deeply in Indian culture. That spirit is India the idea, the metaphysic, and it is the connection between politics and tat tvam asi that Moorthy realizes during his awakening. The ever-present India mythos finally absorbs the characters and history it has all along been bathing and overwhelming. Philosophy carries us beyond myth. Gabriel Marcel once told Rao that the Indians scared him because whereas the West went from philosophy to God, they went from God to philosophy. It is just this element of philosophical disquisition, generally absent from Kanthapura, that saturates the pages of The Serpent and the Rope and The Cat and Shakespeare, taking us further away from the object, from history, from the world. Read “World Writing: Raja Rao“—a short commentary and reminiscence. This entry was posted in World Writers and tagged Colonialism, Indian literature, Indian Revolution, Indian writing, Kanthapura, Nationalism, Post-Colonial style, Raja Rao, Richard R. Guzman, World Writers. Bookmark the permalink.